Accidents and injuries during the winter months are very common. According United States Department of Transportation, 22 percent of all traffic accidents each year are weather related. Additionally, the National Floor Safety Institute reports that falls account for more than eight million hospital visits each year. When accidents occur the rehabilitation process can take a great deal of time. At Westside Medical Supply we are here to help you through this process with a full line of mobility and orthotic devices for rental or purchase to support your recovery. Crutches – Aluminum crutches are one of the most common mobility devices used after a slip fall injury. Typically made of lightweight aluminum, they are designed to transfer body weight from the legs to the upper body to take stress off of a leg, hip or foot injury. Knee Walker – This is an excellent alternative to crutches and can be particularly useful during the early stages of the recovery process. A knee walker is a wheeled device that allows the patient to move easily and more efficiently. The benefits of a knee walker are added maneuverability and less strain on the body. Walkers – Walkers come in a variety of styles to meet the varying needs of patients during the recovery process. A standard walker offers the user support and stability as they are recovering. Rollator walkers are an excellent alternative for patients who are regaining strength and may need some additional wheeled assistance. One-hand side walkers are a logical next step for individuals who don’t require substantial support but still need some assistance. Manual Wheelchairs – Traditional wheelchairs come in a variety of styles and designs and can support patients for both short-term recovery and long-term care. In addition, wheelchairs can be ordered in both standard and wide sizing to accommodate a variety of needs. Power Wheelchairs – This is a great option for a patient who is facing a longer recovery process. Power wheelchairs allow patients to regain their strength while still maintaining their mobility. Like standard designs, power wheelchairs come in a variety of styles and options to meet varying patient requirements. Equipment rental is an excellent option for individuals who are recovering for a fall or other accident. 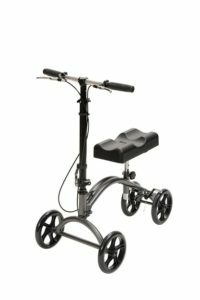 At Westside Medical Supply we offer rental packages for all our mobility equipment to help you get back on your feet quickly.